The biggest problem with flea infestations isn’t the actual adult fleas, but rather their resilient eggs that seem immune to traditional treatment methods. You can squish every adult flea you come across and still not solve the underlying the problem. In most occurrences of flea infestations, it’s the eggs causing the real problem. For a better understanding of flea eggs and their impact on flea populations, keep reading. There are four stages of a flea’s life: eggs, larvae, pupae and adult. The reason why so many homeowners fail to eliminate fleas from their home is because they focus solely on treating the adults. While adults certainly play a role in an infestation, it’s estimated that 50% of the flea population are eggs. Focusing strictly on adults and not their eggs means that half of the population is still lingering inside your home, waiting for the right time to hatch. One of the reasons why flea eggs are such a problem is because they are protected against chemicals, extreme hot/cold, and other elements. They possess a thick, hard shell that acts as a barrier of protection; thus, they are able to survive in environments that would kill adults. Traditional chemical-based treatment products may not be able to penetrate the egg’s shell. However, certain types of advanced products containing insect growth regulators (IGR) and/or insect development inhibitor (IDI) can prove effective at treating flea eggs. Frontline Plus is one of the most commonly used products containing IGR-based ingredients, as it kills fleas during all stages of the life cycle. What Do Flea Eggs Looks Like? Flea eggs are slightly transparent, oval-shaped sacs that measure about 0.5 mm in size. Due to their small size, trying to hunt them down inside your home can be next to impossible. The good news is that you don’t have to visually see them to eliminate them from your home. Vacuum your floors on a daily basis, immediately discarding the contents into a sealed bag. Wash your pet’s bedding along with any blankets, sheets and comforters. Use a flea comb on your pet to remove both adult fleas and their eggs. Give your pet a bath using a specially formulated flea shampoo once a week or as directed by the manufacturer. Use an IGR or IDI product that’s designed to kill flea eggs as well as adults. 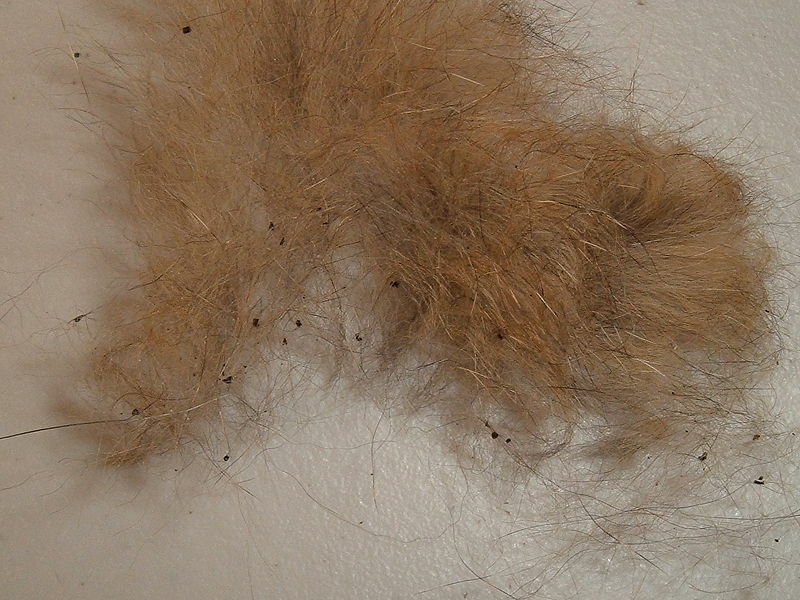 Flea eggs, larvae and feces (also known as flea dirt).